Plastic straw bans, predictive scheduling, and the increasing use of automation in quick-service restaurants. These are some of the trends Dunkin’ and other quick service franchisees can expect to be hearing more about as we head into 2019. The big Democratic gains in the mid-terms are the biggest new development on the political and regulatory scene and will likely result in a number of consequences. The Democrats’ successful campaign to regain control of the House, combined with gains at the state level, are already reenergizing the effort to raise the national minimum wage to $15 an hour. The wage increases – combined with the tightest labor market in years – is fueling increased interest in automation by quick-service chains. And amid all these changes, Dunkin’ and other franchise owners may soon also be dealing with irate environmentalists as they target one of the great issues of our times, banning plastic straws. House Democrats aren’t beating around the bush, that’s for sure. In fact, the House’s incoming majority leadership plans to make the rollout of a bill that would hike the minimum to $15 an hour one of the first things they do after formally taking charge in January, CNBC reports. The designated Democratic chairman of the House Committee on Education and the Workforce, Virginia Congressman Bobby Scott in one of his first acts, is planning to introduce legislation that would gradually raise the current minimum to $15 from $7.25 per hour, according to the business news network. House Speaker Nancy Pelosi is already on record supporting previously filed legislation mandating a $15 an hour minimum wage. Of course, even if the Democratic-controlled House passes a $15 an hour minimum wage bill, it is going nowhere fast. Republicans now control 53 of 100 seats in the Senate after a gain of two during the mid-term elections. But banging on the $15 an hour issue is obviously good politics for the Democrats as we head towards the 2020 presidential election, analysts say. Still, the real action, at least in terms of minimum-wage legislation that actually passes and goes into effect, continues to be out in the states. Democrats flipped a number of governorships and state legislatures this November, increasing the number of democratic state government trifectas – where one party has control of the executive and legislative branches of state government – by six. There are now 14 Democratic state trifectas compared to 23 Republican. One of those state’s flipping to Democratic Party control was Colorado. Voters in the Rocky Mountain State have already approved minimum wage hikes leveling off at $12 an hour in 2020, but state senator-elect Jessie Danielson, who had been the Speaker pro tempore of the Colorado House of Representatives, plans to submit a bill that would allow individual towns and cities to set their own minimums and go higher, the Denver Post reports. Republicans aren’t going down without a fight. Rick Snyder, Michigan’s outgoing Republican governor, inked a bill that would delay from 2022 to 2030 plans to increase the minimum wage from $9.25 to $12 an hour. To say there is a labor shortage in the quick-service industry does not do justice to the situation. Companies across the U.S. are trying to fill a million more jobs than they were a year ago, according to federal stats cited by The Wall Street Journal. And the biggest chunk of the increase – some 200,000 – comes in the accommodation and food service sectors. 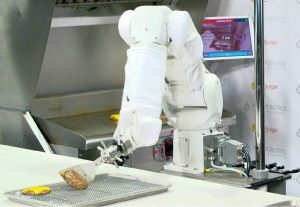 Given the combination of a labor shortage and rising wages, it should come as no surprise that the quick-service industry is increasingly experimenting with automation. However, it’s important to not buy into all the hype related to automation. To read some tech zealots, quick-service restaurants will be filled tomorrow with robots taking orders, boxing donuts and pouring coffee. on reality is Andy Wiederhorn of Fat Brands, which includes Fatburgers and Buffalo’s Cafe. But the restaurant chain chief does see big potential in automation as it relates to third-party delivery services, which Fat Brands is turning to as it looks to reach customers at home. By going the third-party route, Fat Brands is gaining the technological edge without the headaches of running the delivery app itself. Philadelphia became the latest major city to pass a “fair workweek” law. Mayor Jim Kenny signed legislation on Dec. 20 that requires employers with more than 30 locations and 250 workers to post schedules two weeks in advance, pay more if the shift is changed within that two-week window, and offer additional shifts to current workers before hiring. The new law, which kicks off in 2020, comes after a nearly year-long campaign by local unions and affiliated organizations. Philadelphia is now the second-largest city in the country with a fair scheduling law, behind only New York, which passed predictive scheduling regulations in 2017. In early December, three restaurant industry groups went to state court in a bid to scrap the New York law, which requires that employers schedule employee shifts two-weeks in advance and pay fines ranging from $10 to $75 if they make changes within that window, Nation’s Restaurant News reports. 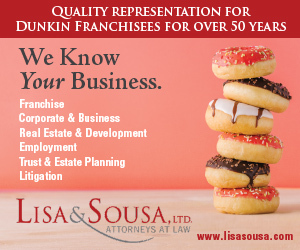 The lawsuit by the New York State Restaurant Association, the National Restaurant Law Center and the International Franchise Association (IFA) contends the new law has forced quick-service restaurants in the Big Apple to shell out hundreds of thousands of dollars in “premiums” to employees after making changes to their shifts, the restaurant publication reports. “This policy makes it prohibitively expensive for businesses to quickly adapt their staffing to fit changes in market demand, unexpected employee absences, or myriad other staffing issues,” the IFA said in a statement. Chicago may be the next major city to pass scheduling regulations. The nation’s third largest city has been mulling a “Fair Workweek Ordinance” for more than a year and recently created an Office of Labor Standards to enforce a newly-raised minimum wage – rising to $13 an hour next summer – and a new paid sick-leave law. The scheduling law being debated in the Windy City includes all the standard provisions – two weeks’ notice and premium pay for changes made within that window – as well as a “right to rest” rule that gives employees the ability to reject a new shift that begins less than 11 hours after they were last on duty, according to The National Law Review. Philly and Chicago, in turn, are following the lead of San Francisco and Seattle, which were the first major cities to pass predictive scheduling laws, followed by the state of Oregon last summer. New Hampshire may have passed the least-taxing predictive scheduling bill, as far as franchise owners are concerned, barring retaliation against employees who request flexible work schedules, with Vermont also having put a similar “right to request” law on its books. As if Dunkin’ and other franchise owners didn’t have enough to deal with, there is a growing movement, at least in blue states and cities, to ban plastic straws. While plastic straws may not seem like a major environmental threat given all the other issues facing the world right now, the slender but non-biodegradable pieces of plastic have become Public Enemy No. 1 in the eyes of some activists, who complain they are washing up beaches. California, not so surprisingly, is leading the way. Gov. Jerry Brown recently signed into law a ban prohibiting full-service restaurants from automatically passing out plastic straws to customers. Diners who still want that plastic straw experience will have to specifically ask for them – and hope not to draw dirty looks in the process. Supporters say it will help prevent straws from winding up in the ocean and harming marine animals. “It is a very small step to make a customer who wants a plastic straw to ask for it. And it might make them pause and think again about an alternative,” Brown said in a statement, published in Restaurant Business. Restaurants that flout the plastic straw ban could face fines of $25 a day, leveling off at $300. Cities are also debating whether to jump on the anti-plastic straw bandwagon, with Seattle and St. Petersburg, Fla., having passed laws of their own. St. Petersburg’s City Council recently voted to ban plastic straws starting in 2020, with an immediate banishment of Styrofoam. on fines. While you’ll get off with a warning the first time you are caught handing out plastic straws in St. Pete, the second time you’re caught you’ll have to fork over $40. That will rise to $80 for further violations. New York City, Hawaii and San Francisco are now considering joining the war on plastic straws as well. As we’ve seen, rules and regulations have a way of eating away at profit margins for small business owners. The resurgence of efforts on the federal and state level to raise the minimum wage to $15 an hour bears watching, as does the spread of predictive scheduling regulations and the growing movement by states and cities to strictly regulate or outright ban the use of plastic straws. Automation promises to provide some relief given both rising wages and a tight labor market, but, as we have seen, having a strong game plan to make new technology work for you and your business is key. 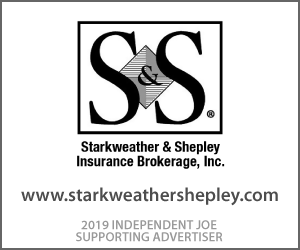 Throughout the year, Independent Joe will continue to monitor the issues, regulations, trends and new technology that will impact how you operate your business and profit from it.